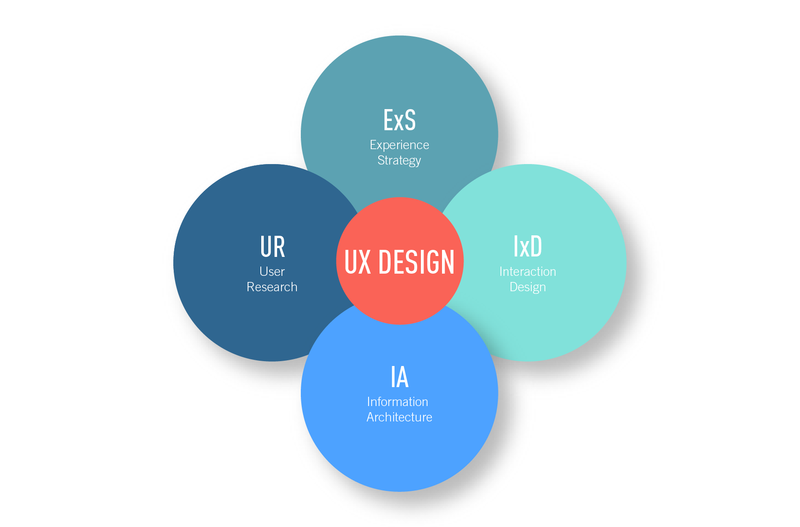 UX Design Tutorial: What Are The Different Areas Of UX Design? In the previous tutorial, we discussed the wide range of skills that a UX designer needs to possess. While this might have felt a bit overwhelming, you probably already possess quite a few transferable skills. UX design, like any other field, has areas of specialization for those interested in a particular set of topics to dive deeper. Take the field of medicine, for example: some doctors choose to specialize in internal medicine, while others go the route of pediatrics. The field of UX is no different, which is why today we’ll be taking a look at the most popular UX design jobs and specializations available to those with UX skills. On top of foundational UX skills such as user flow diagramming and prototyping, many UX designers specialize in one or two areas depending on their own interests, skills, and the needs of their employer. While most UX designers are well-versed in all of the above fields, they only choose one or two to focus on in their career. Let’s take a closer look at each quadrant and their associated roles. Also referred to as ExS, this area of focus involves incorporating business, technical, and design strategies into viable solutions that bring value to both the user and the company providing the product. The roles often associated with this quadrant include product designer and product manager, among others. While user research is an important skill for all UX designers to have, some choose to develop their skills further, devoting themselves fully to this expansive field. User researchers focus on interactions with real users, collecting and analyzing both qualitative and quantitative data to better inform design decisions. The roles often associated with this include user experience researcher, usability analyst, and research analyst. We’ve already talked about IA — the organization of product content and information to optimize the user’s experience. This quadrant encompasses a good range of roles, from information architect to data analyst and content strategist. What kind of UX designer would you like to be? Despite each quadrant having a different focus, there’s inherently some overlap between the roles associated with each. For example, as a product designer, you’d be responsible for the overall experience strategy of a product, but you might also be in charge of ensuring that the new IA is optimized and based on the latest user research findings. As a fresh-faced UX designer, there’s no need to immediately decide on an area of focus – just knowing that these different areas exist is enough. As you further develop your UX design skills, it will become clearer how your strengths and interests fit into the quadrants. This is part of what makes UX design so appealing! It’s a varied field that allows you to explore and identify the perfect combination of skills that speaks to your unique strengths and interests. Are you ready to start thinking like a UX designer? 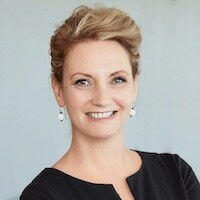 As a follow-up, I recommend you identify some key UX influencers. Try categorising them into one or two of the quadrants. Where do their strengths and interests appear to lie? Are they more oriented towards user research, or interaction design? Not sure where to start? Some of my favorite luminaries of UX include Jeff Gothelf, Yael Levey, Sarah Doody, Jared Spool, Jesse Showalter, and pretty much anyone from IDEO. Trigger happy follow-finger? Head over to CareerFoundry on YouTube for more free video tutorials. That’s it from me for now. In the next tutorial, real-life UX design Mentor and all-round good guy Tobias will take you through the soft and hard skills required to make it as a truly great UX designer. Enjoy! Take the quiz below to make sure you've learned all the important information—and that it really sticks! Intrigued by a career in UX design? Arrange a call with your Career Advisor today to find out if UX design is a good fit for you—and how you can become a UX designer from scratch with the full CareerFoundry UX Design Course.